The newly-refreshed ningina tunapri Tasmanian Aboriginal gallery will provide you with a rich, enlightening and inspiring experience. ningina tunapri means 'to give knowledge and understanding'. 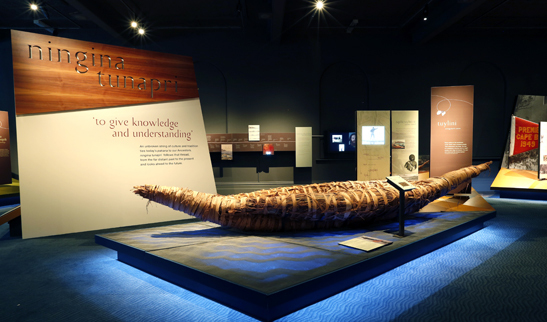 Watch an introductory video to the ningina tunapri exhibition for teachers below.